Welcome to Friday Fast Facts. Fact: I have moved house and have not had the Internet connected yet, therefore I am blogging from my iPhone. Dangerous. Fact: I have done 7 hours of exercise this week, 4 in the gym, 3 outside. I am in so much pain I can barely move. I blame the star chart I’ve started with two friends. For every exercise session completed we get a star. So juvenile but it works. Those stars are like crack. Fact: rehearsals have started this week for the Goldfields Repertory Club (we did Chicago earlier this year, if you recall) Christmas Show, which is a pantomime of sorts. This year is a modern take on Snow White and the Seven Dwarves and I am Snow White! So much fun. Need to get more pale. Fact: I am off to Brisbane on Sunday for a week for work. Send me your restaurant recommendations please. I get back at 6:30pm on the night of a Halloween party I’m co-hosting, so I’m hoping the aviation gods will be good to me (no delays!). I am spending tomorrow hanging up fake cobwebs and fairy lights. 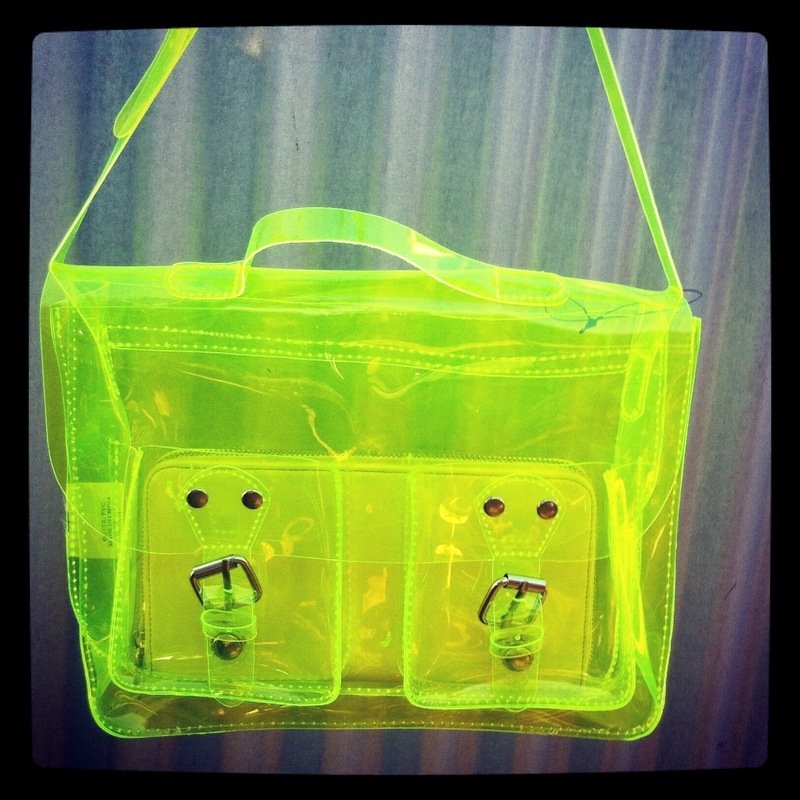 Fact: my lovely friend Leticia bought me a neon PVC satchel. Just because. Obviously I love it. She’s a dime. Her daughter Aurora is 20 months old and calls me ‘Betty’. Swoon. That’s all from me. How’s your weekend shaping up? Are you doing anything for Halloween? This entry was posted in Misc and tagged Brisbane, Friday Fast Facts, Halloween, Neon Bag, PVC Bag, Weekend, Work. Bookmark the permalink.